I recommend creating a very simple business plan thats only a few pages long and very high level so that you can list out who your target market is, and create a sales and marketing strategy to get new clients. So let’s get started with what you need to create a very simple business plan. What Problems Do Help Your Clients With? A social media manager can do a lot of different things. You can specialize in Instagram, Facebook, Pinterest…etc. You can help your clients with every single platform there is out there. But in order to sell yourself and really get clients to purchase from you, its going to take convincing them that investing in social media marketing for their business is worth the money. You need to communicate the problems you solve for your clients. You also need to explain to them why you are the perfect one to hire over hiring another social media manager. I help health coaches with Instagram engagement and growth so that they can increase their client base. Or I help law firms get found on LinkedIn so that they can get a steady stream of clients for their practice. Defining your dream clients will help you create a brand that attracts the right people. Do you just want to help female entrepreneurs? Do you want to focus on helping authors and writers? Do you want to help anyone who owns an online business. Or do you just want to help small businesses in general? Thats fine. But you have to list this out in your business plan because once you are clear about this, it will be easier to write your website content and to create sales scripts to sell your services. Part of creating a simple business plan involves list out the exact ways that you plan to find clients. Will you attend local networking events for businesses? Will you find clients by networking with people on Facebook and LinkedIn? Will you be sending out cold emails to small businesses you find online? List out the methods you feel comfortable with, that go with your personality and that are realistic. If you are unsure about what services to offer or how to grow your social media business, I have a FREE guide that shows you how to do it. And we don't want this to happen. So the way to avoid pricing yourself the wrong way is to spend some time creating pricing packages for each social media service you plan to offer. List out the price of every service inside of your business plan. You will need to sell your packages and communicate the benefits of each one. Your packages need to solve a specific business problem that your client is facing. The way you sell these packages is that you communicate the benefits and how it will help a specific client in whatever stage of business they are in. A value proposition is a clear statement that explains how your service solves clients' problems or improves their situation, or delivers specific benefits. It tells the ideal customer why they should buy from you and not from the competition (unique differentiation). Writing your business plan in a simple document is going to help you get a lot of clarity. 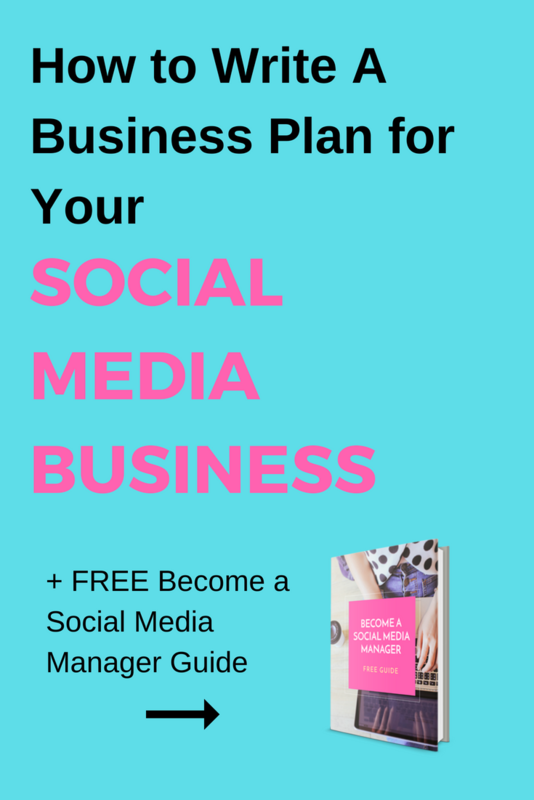 If you need more help to write the business plan for your social media services, I have a FREE Business Plan Template you can download.